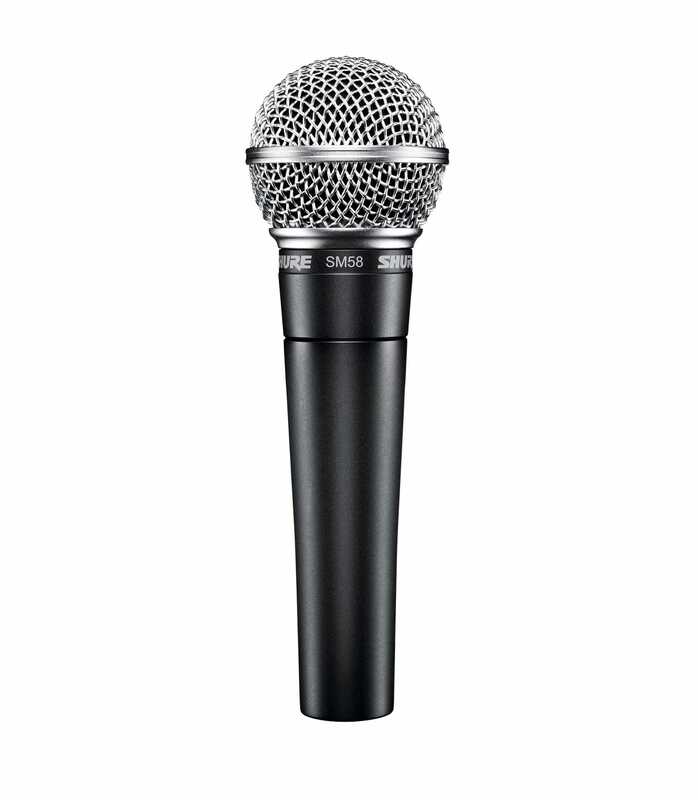 Vocal Microphone Tuned to accentuate the warmth and clarity of lead and back-up vocals, the SM58 is a legendary live vocal microphone known for its rugged reliability on tour. Features Frequency response tailored for vocals, with brightened midrange and bass rolloff Uniform cardioid pickup pattern isolates the main sound source and minimizes background noise Pneumatic shock-mount system cuts down handling noise Effective, built-in spherical wind and pop filter Supplied with break-resistant stand adapter which rotates 180 degrees Legendary Shure quality, ruggedness and reliability Cardioid (unidirectional) dynamic Frequency response: 50 to 15,000 Hz Replacement cartridge: R59 Handheld microphone ideal for live vocals Dynamic cartridge with cardioid polar pattern Available with or without a cable and On / Off switch, and available in wireless versions Includes SM58, microphone clip, storage bag, and user guide.The legendary Shure SM58 vocal microphone is designed for professional vocal use in live performance, sound reinforcement, and studio recording. Its tailored vocal response for sound is a world standard for singing or speech. A highly effective, built-in spherical filter minimizes wind and breath "pop" noise. A unidirectional (cardioid) pickup pattern isolates the main sound source while minimizing unwanted background noise. Rugged construction, a proven shock-mount system, and a steel mesh grille ensure that even with rough handling, the SM58 will perform consistently, outdoors or indoors. 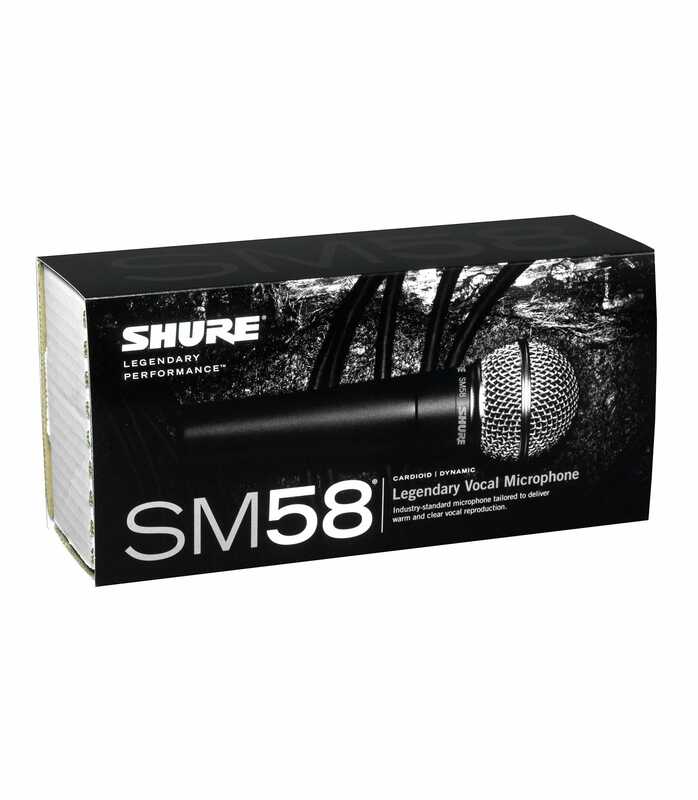 SM58 LCE Vocal Microphone from Shure is 100% original and is available at NMK Electronics. Speak to our expert for booking a live demonstration. After sales customer service is an integral part of our business ethic and is taken very seriously.